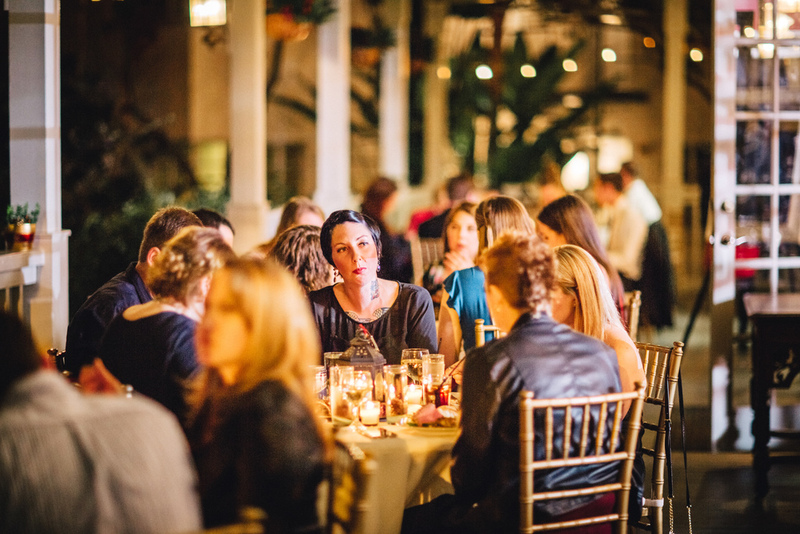 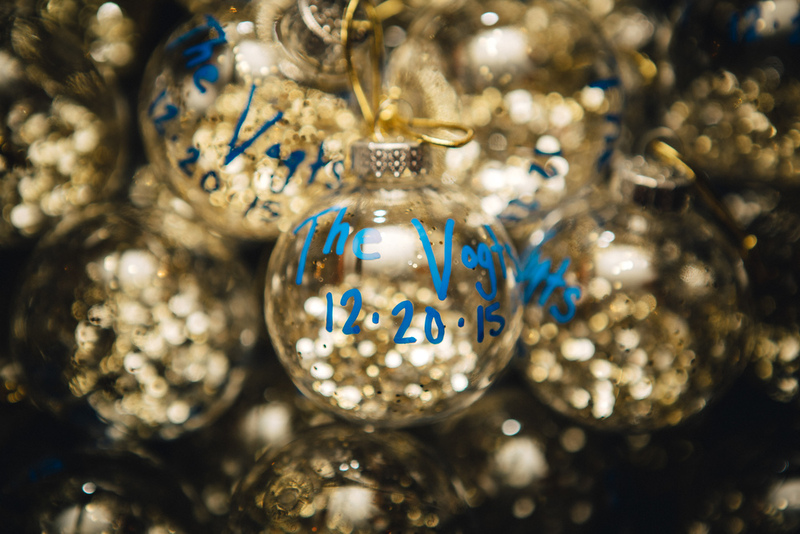 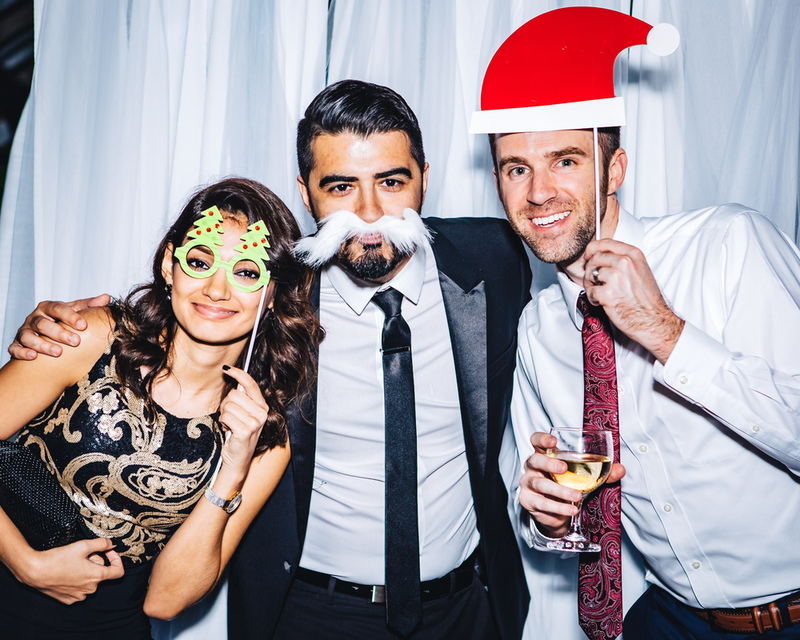 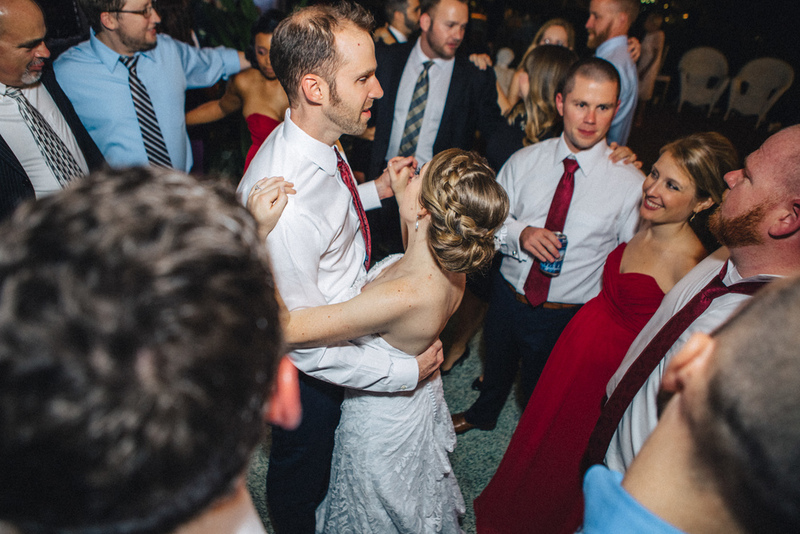 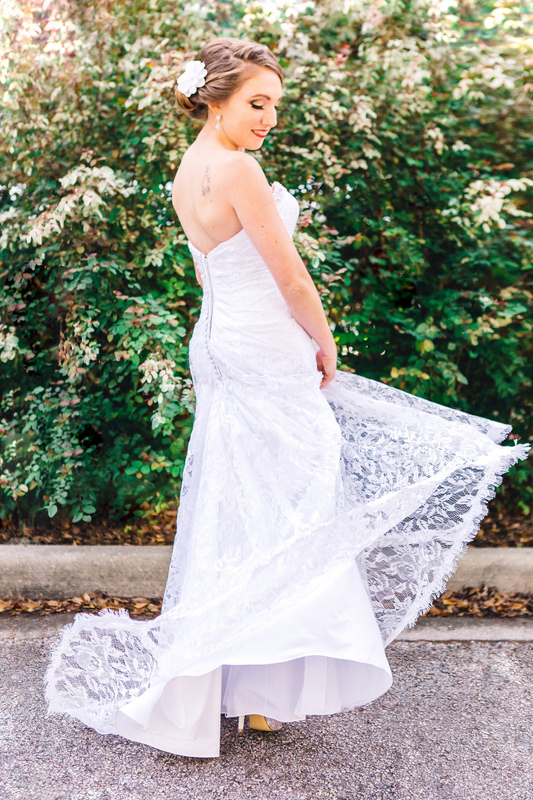 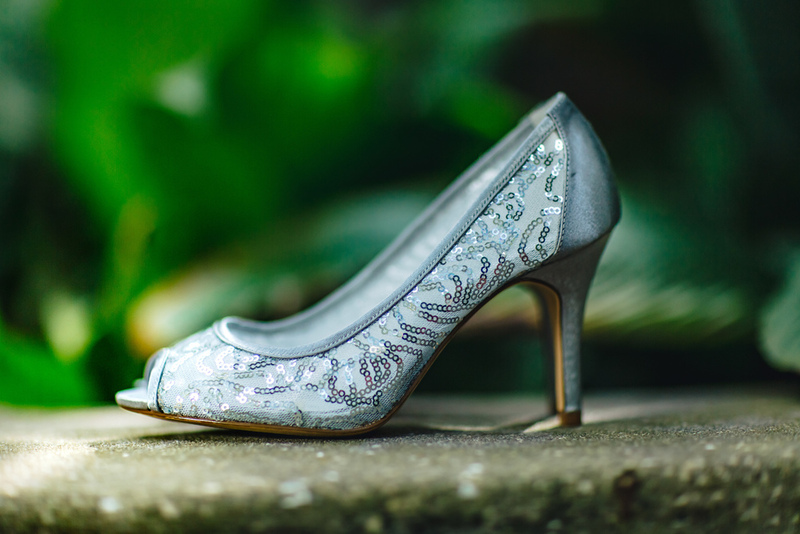 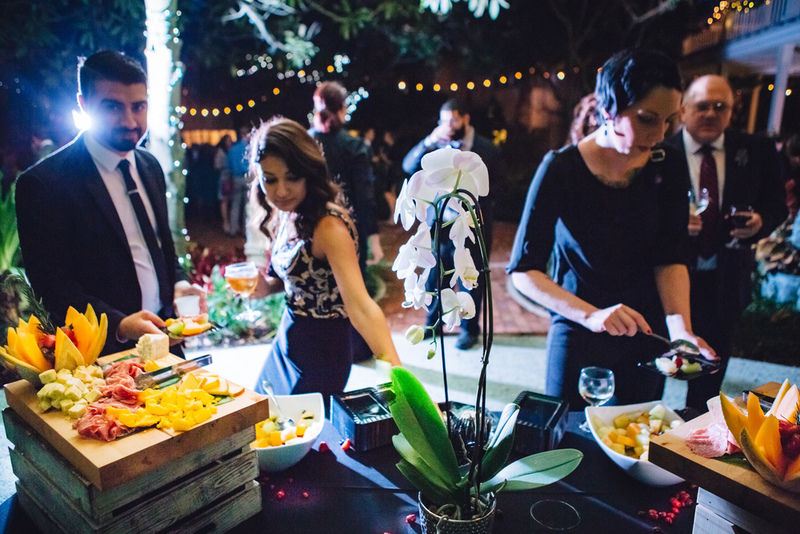 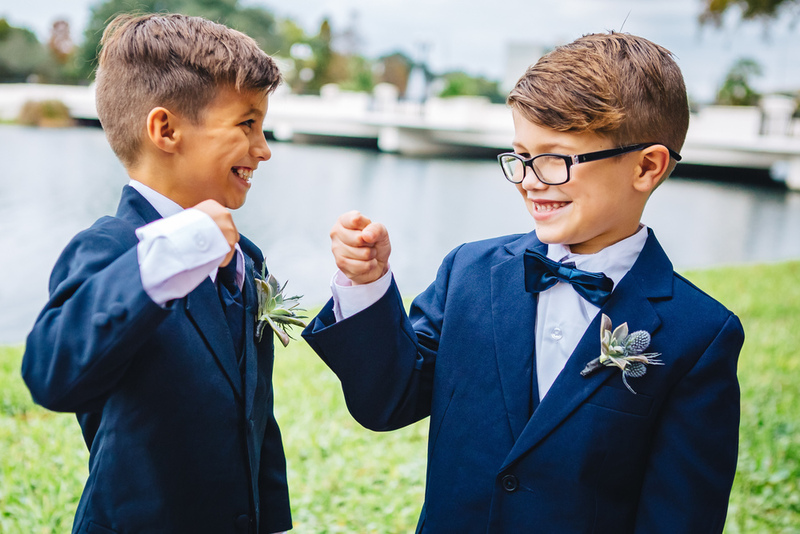 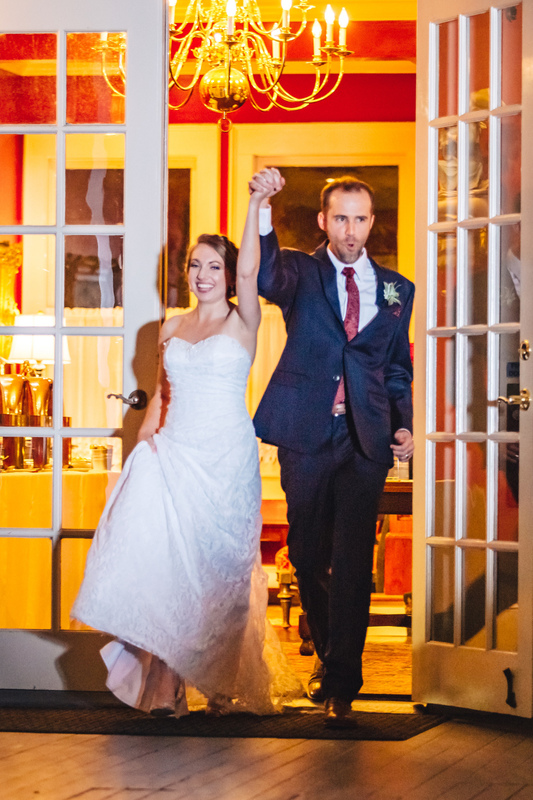 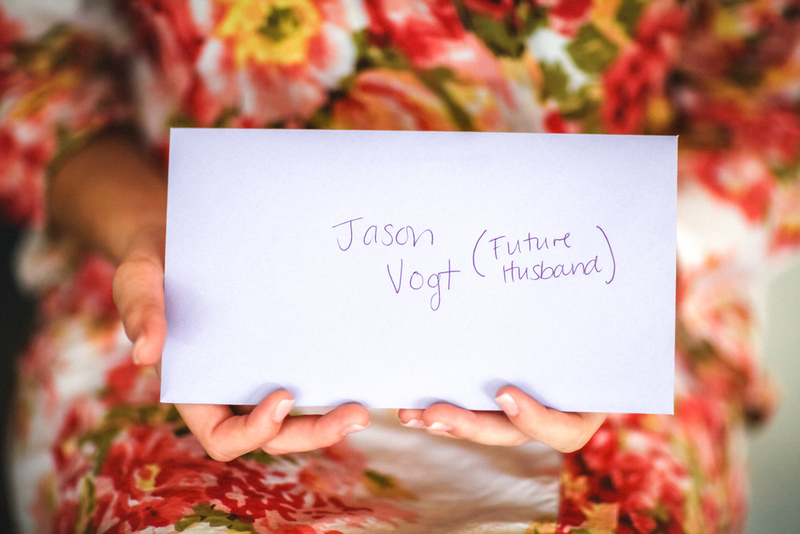 DJ + Jason's week-before-Christmas wedding was out of this world fun! 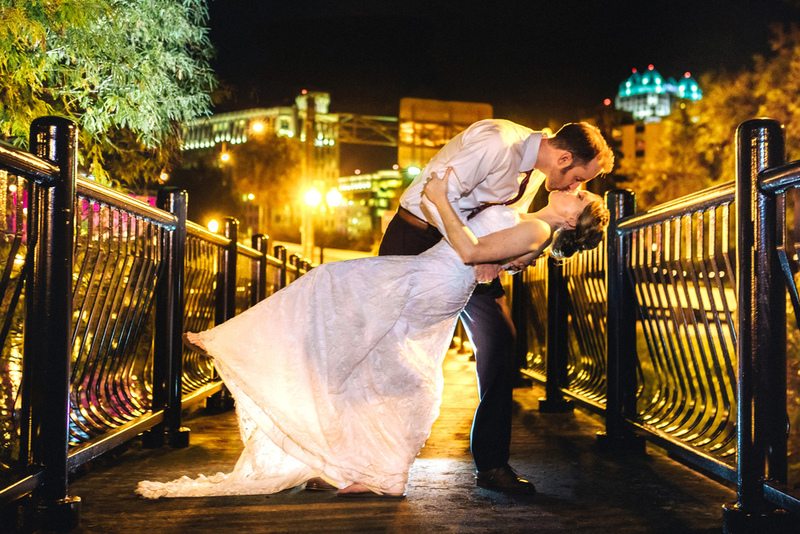 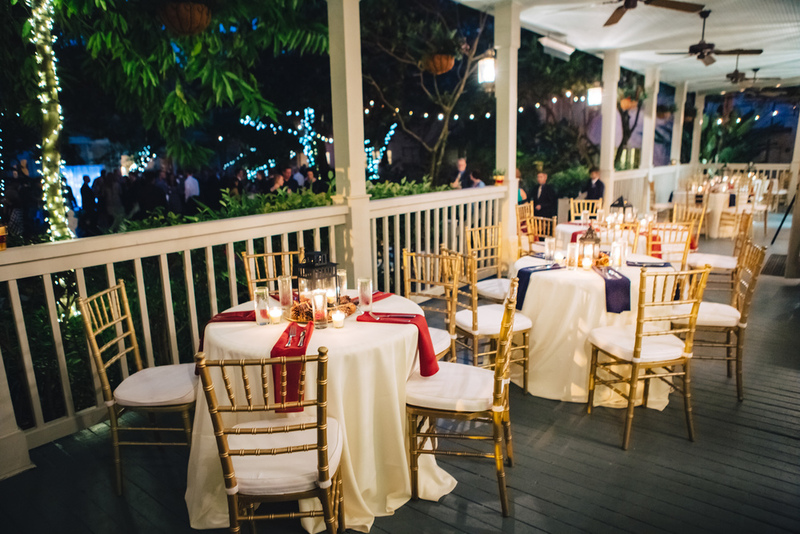 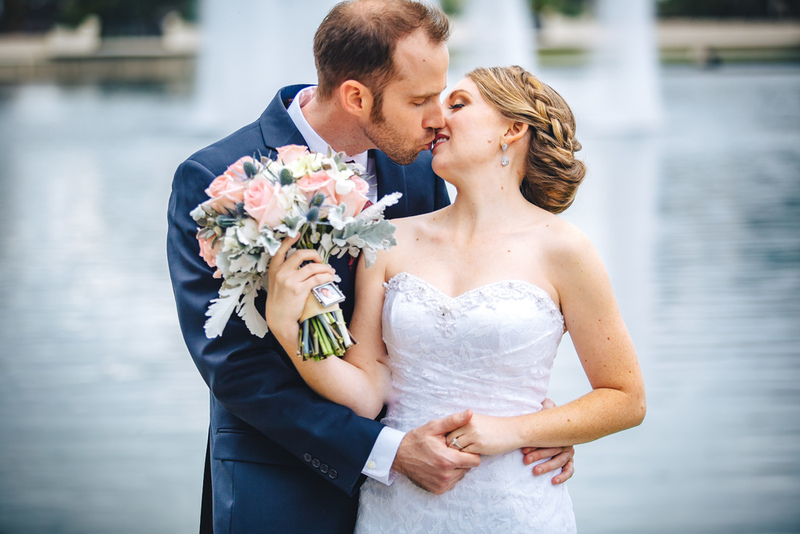 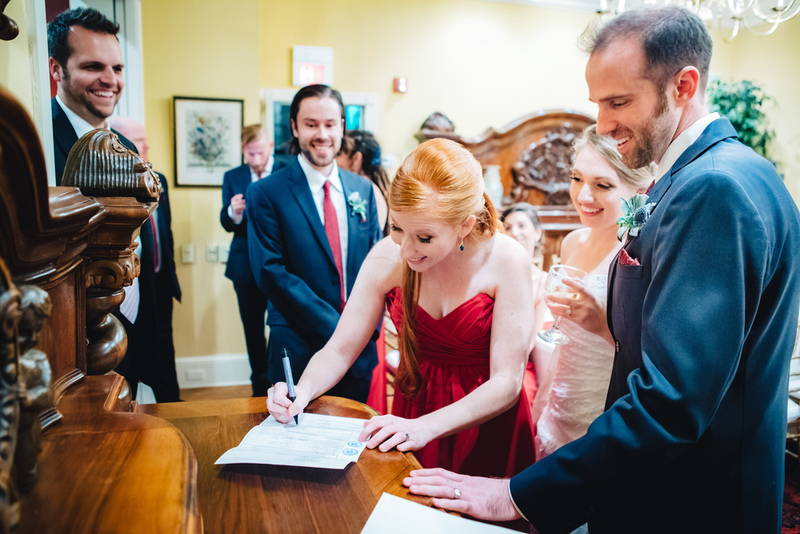 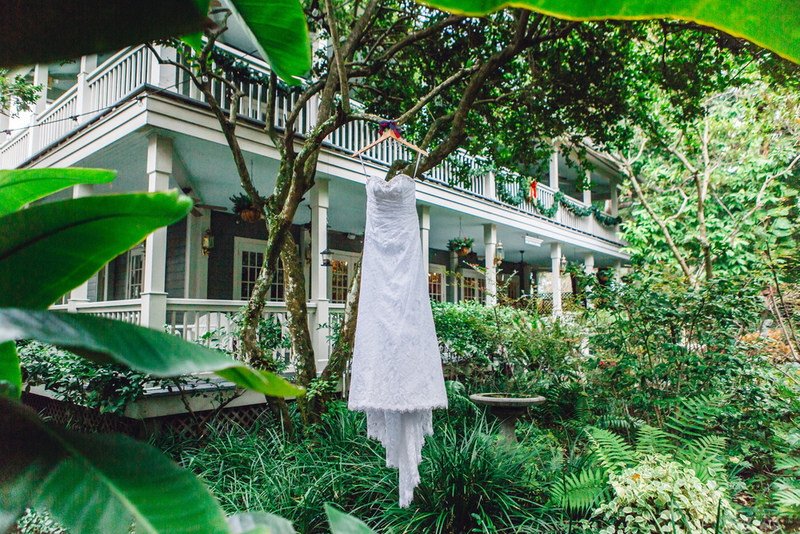 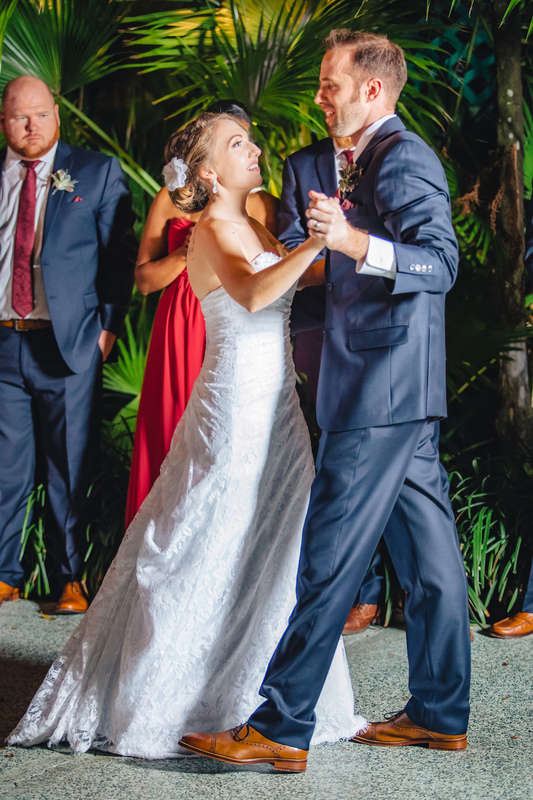 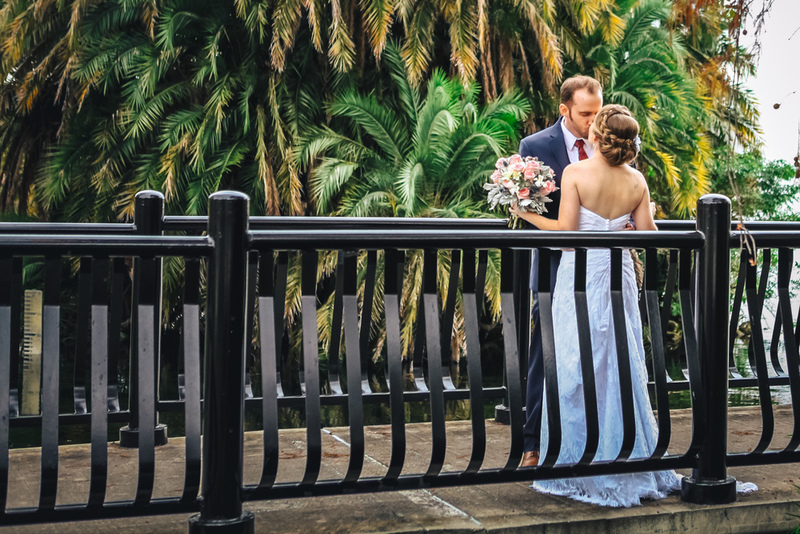 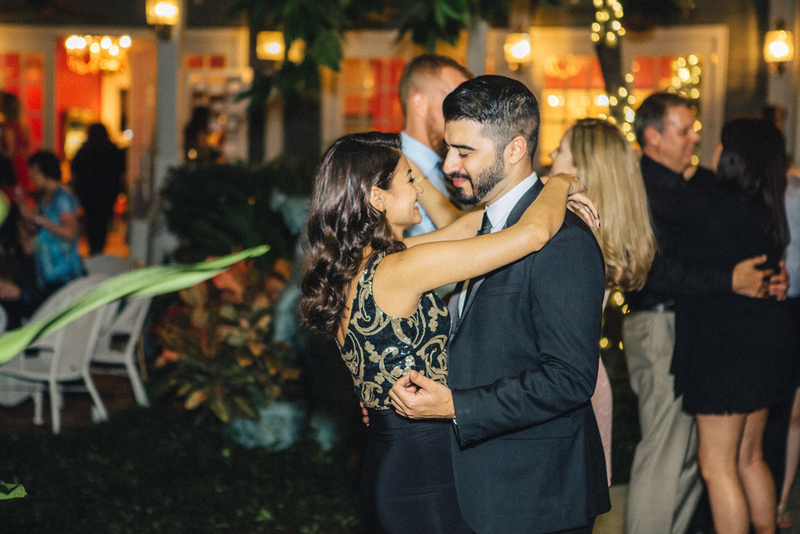 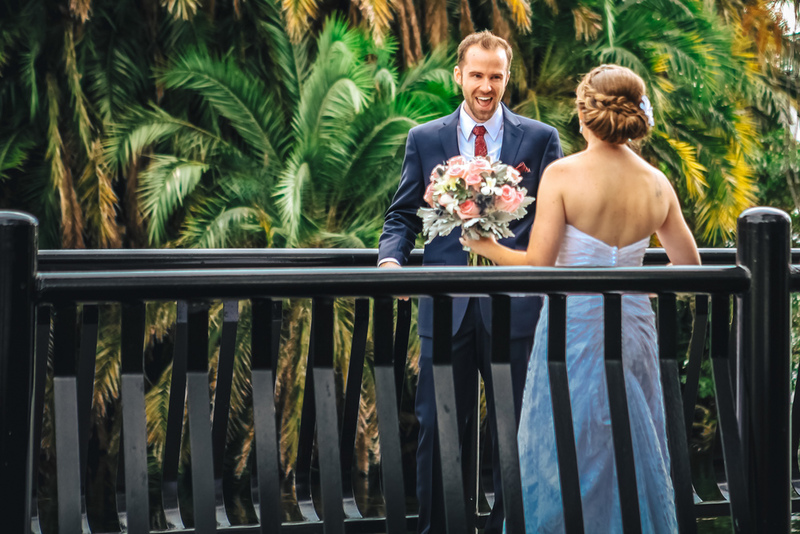 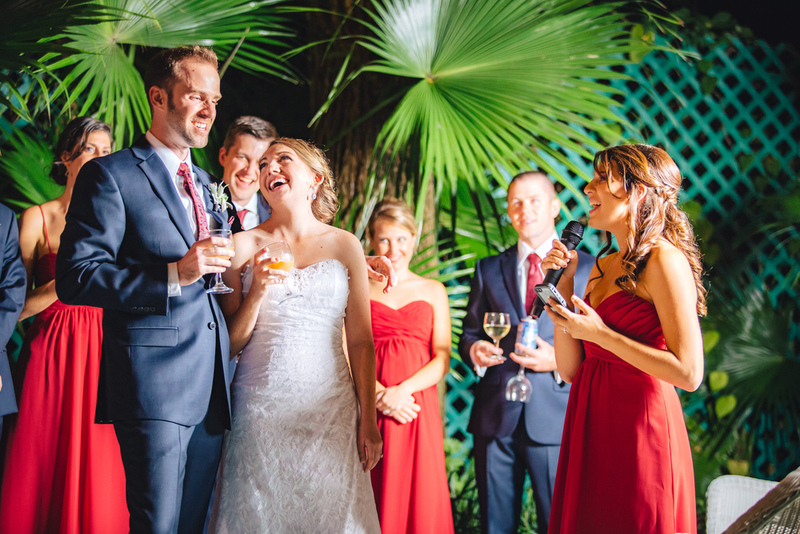 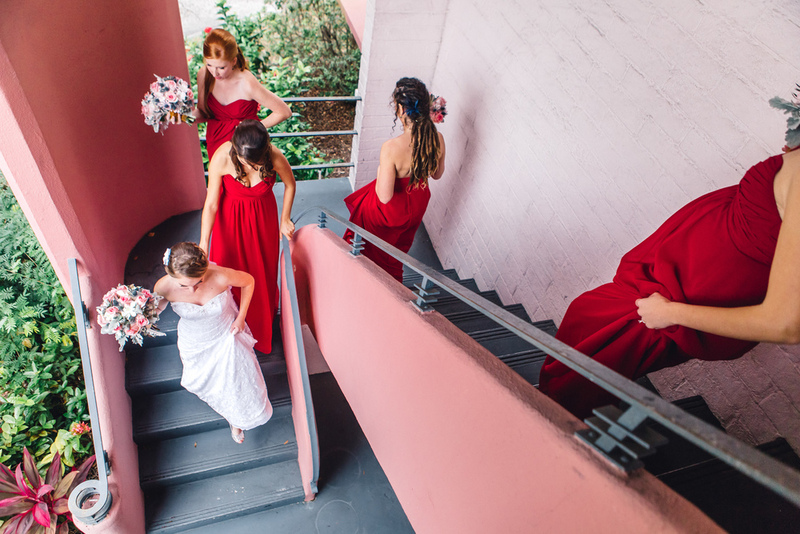 They were married in the jungle garden courtyard one of downtown Orlando's hidden gems- the historic house at the Courtyard at Lake Lucerne. 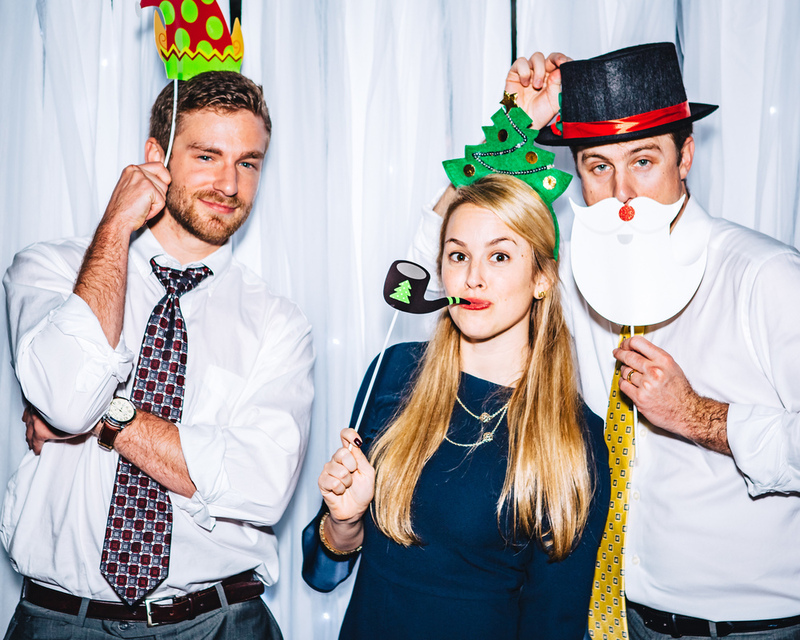 I can't think of a more festive way to finish the 2015 wedding season than the beautiful celebration put on by the new Mr. & Mrs. Vogt! 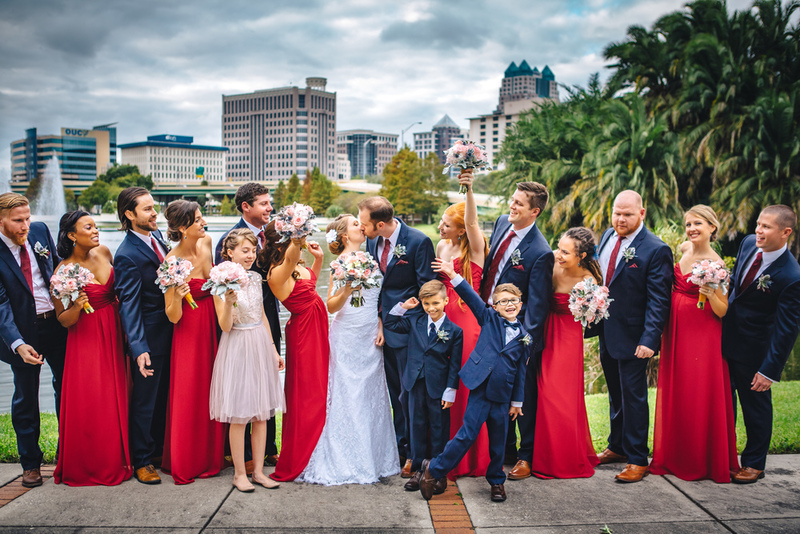 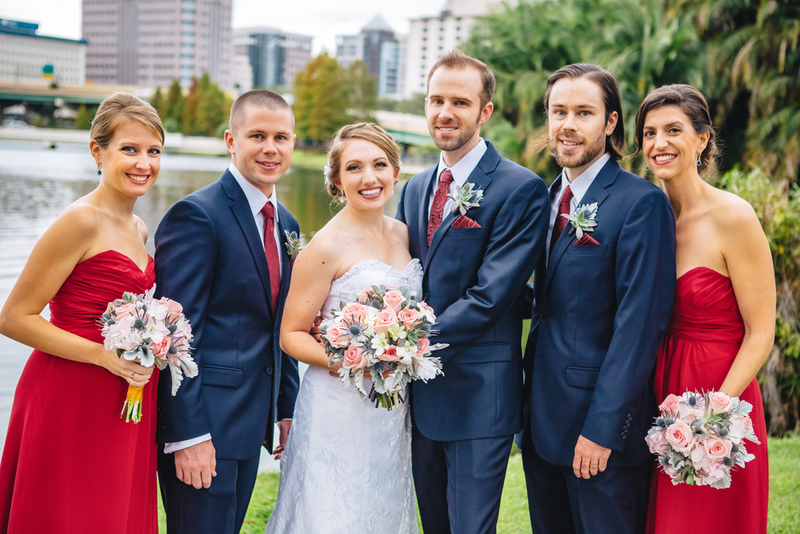 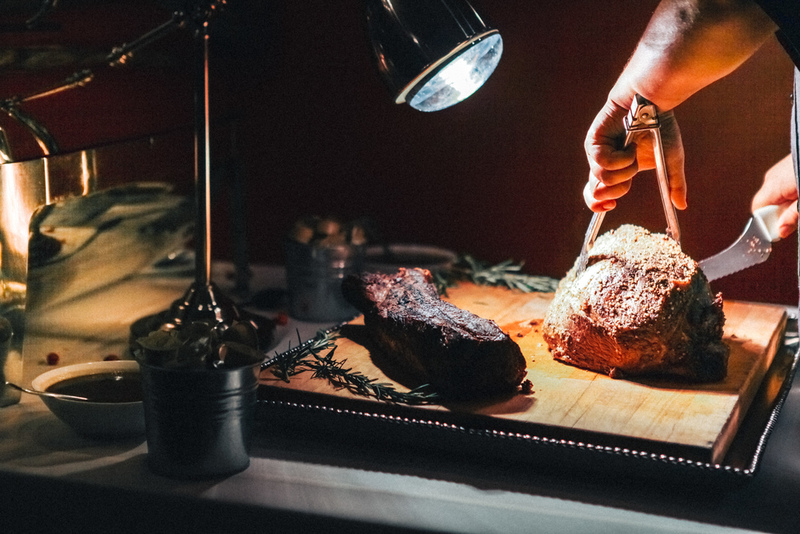 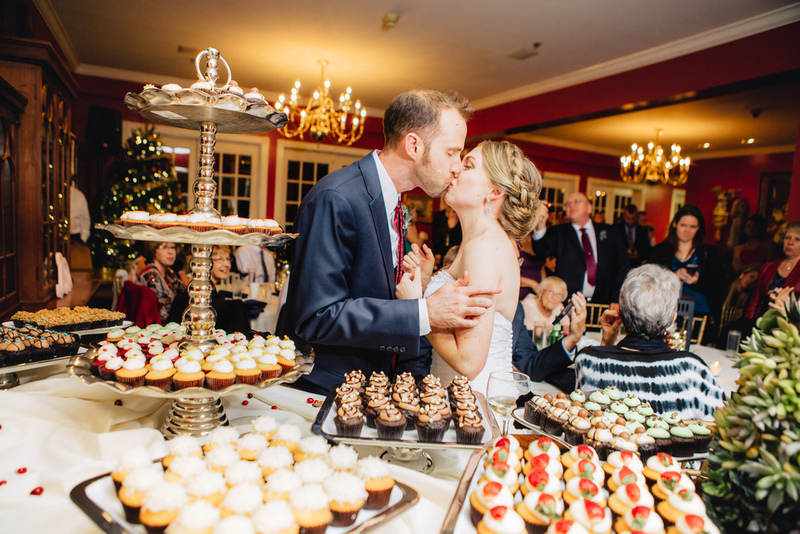 This Orlando couple was inspired by their favorite holiday - Christmas. 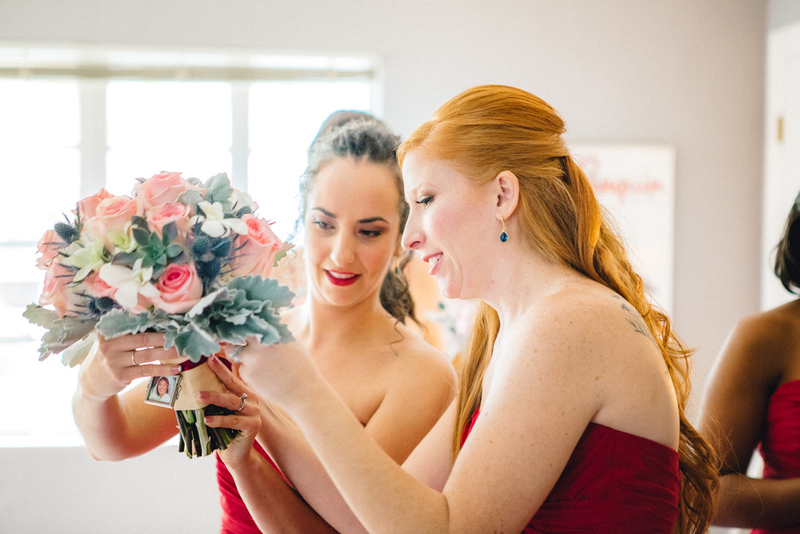 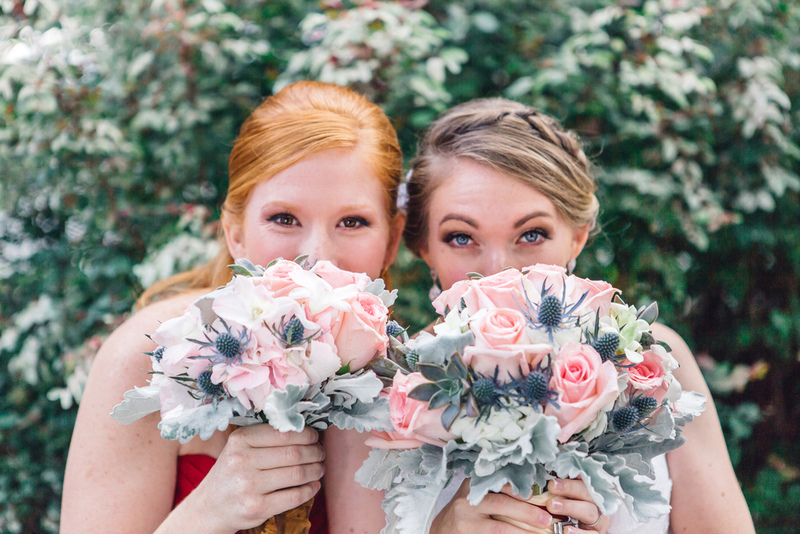 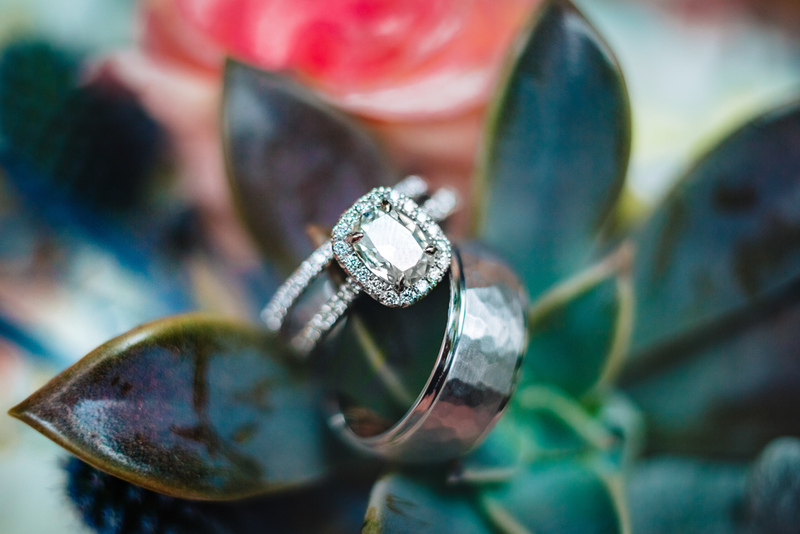 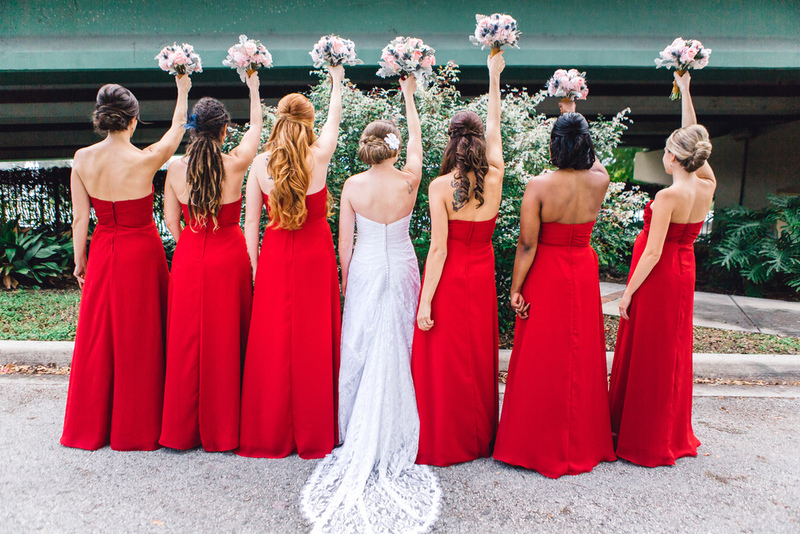 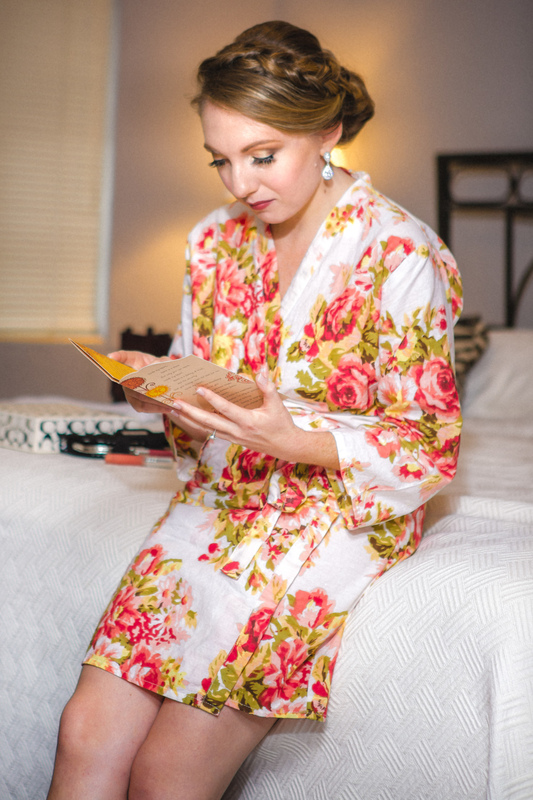 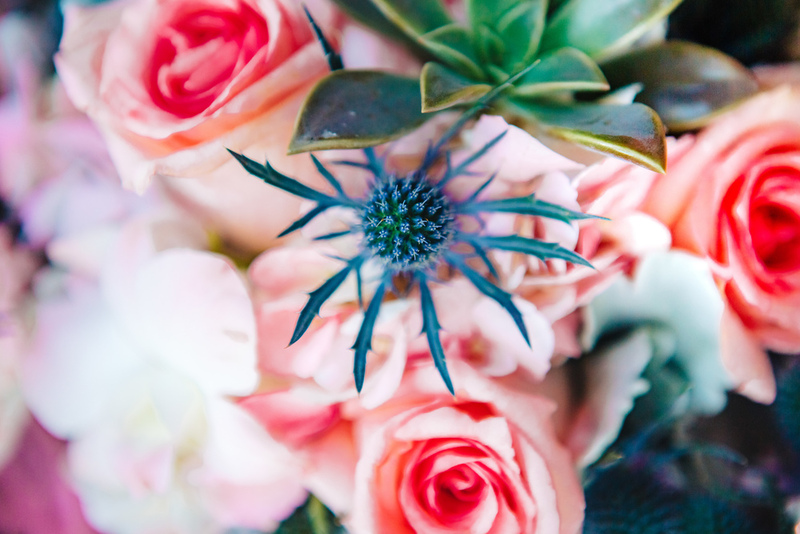 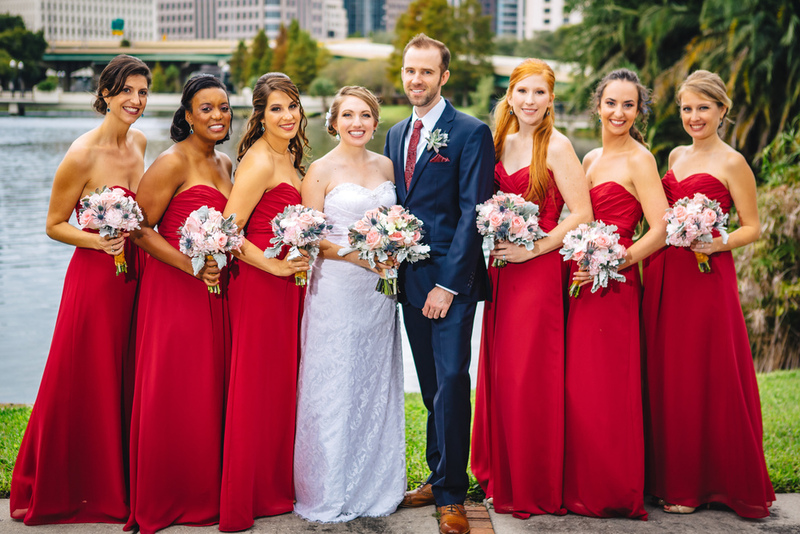 Their colors were wine red & navy, and their florals included blush tip roses, succulents, dusty miller and white roses. 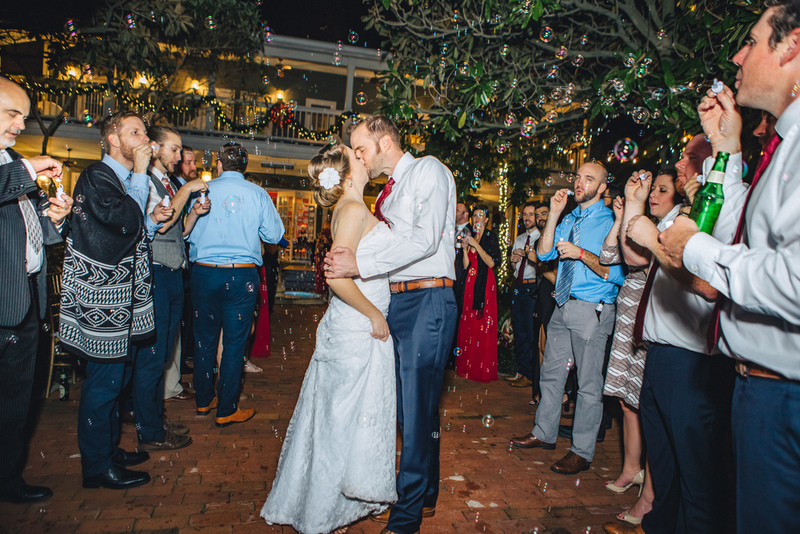 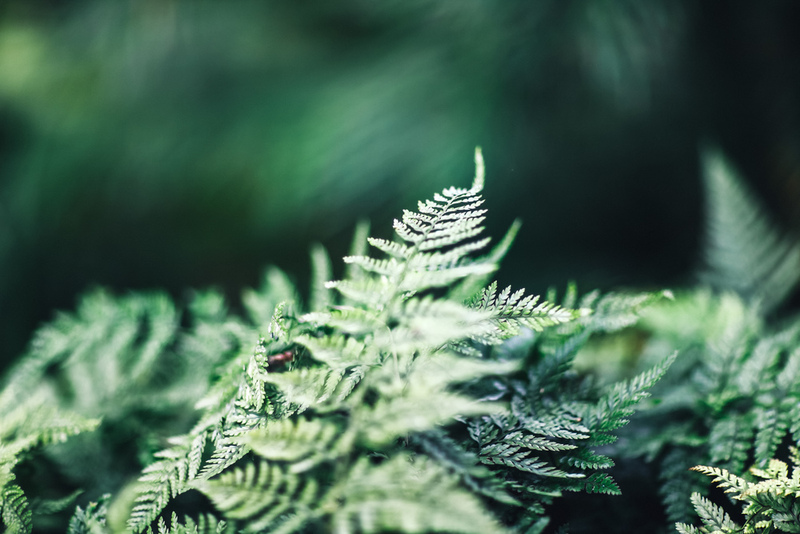 They fell in love with the Courtyard at Lake Lucerne because it is in the heart of the city, and yet Danielle said it feels like a secret garden. 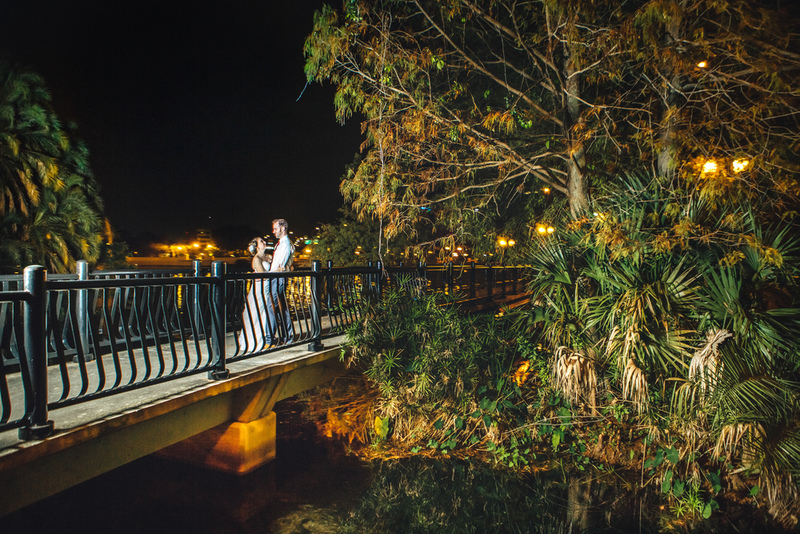 Her dream was to get married at dusk, under the glow of lanterns and Christmas lights.